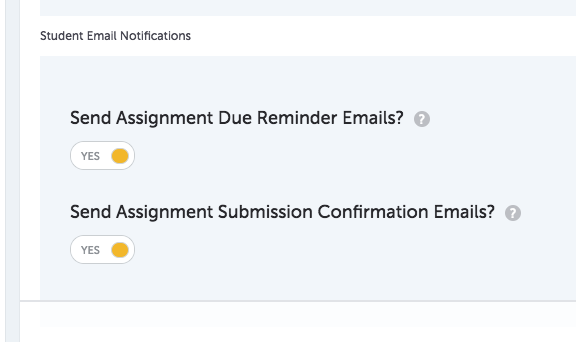 Under Settings you can choose your privacy settings, indicate who can write and view comments on student work, and manage students’ ability to style their course portfolios. There are a number of privacy settings for students’ portfolios. As you hover over the options, an explanation for each shows up to the right. There are also a number of settings for who can view and write comments on student work within the course. 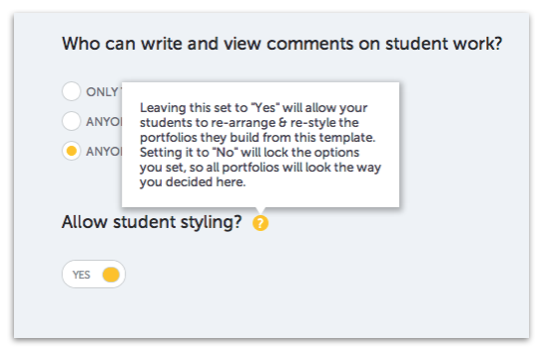 This option allows you to decide whether or not students can change the layout and theme of their course portfolios. By default, this setting is turned on which means they will be able to style their portfolios. Turning this option off “locks” the layout of course portfolios to that of the portfolio template.